The look created by Gil, Max Factor’s magician, was inspired by a dress called Smoke by Gerard Pipart for Nina Ricci. A sinuous wisp of gunmetal satin, a series of bias cut panels sweeping to the floor. The nightshade eyes, shining, heavy lidded in a face pale as moonglow, and startled by a rich, dark mouth. 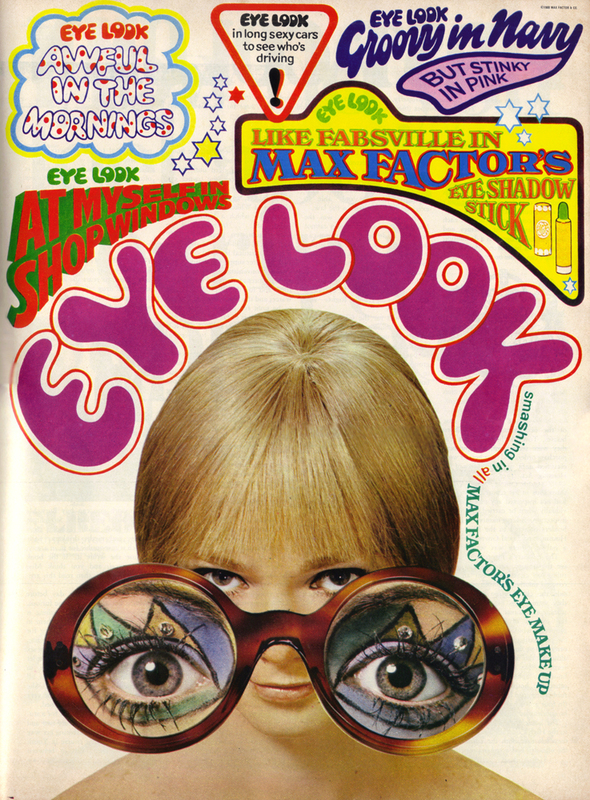 Scanned by Miss Peelpants from Vogue, September 1970.